There was a time when Flickr was the premier place for posting photos online. They did a lot of things right in a time when people were really starting to enjoy posting their photos online. Flickr had things like groups, tags, creative commons licensing, and unlimited, full-resolution uploads (provided you paid for the $25 yearly Pro membership). I paid for it, as did many of my friends, and I remember going to the Flickr homepage and seeing a stream of recent uploads by the people I follow. Sound familiar? While Yahoo sat on Flickr and didn't update it at all during the rise of smartphones, mobile uploads, fast Internet, social sharing, etc, services like Instagram came along and provided a much easier, friendlier and more connected service for people to share photos with their friends. Instagram has built up a community of people and follows a similar model to Twitter where you can follow the people you're interested in and see their photos all in one stream. It's that community that made Instagram worth a full billion dollars to Facebook, which is already the largest photo sharing site on the web. Facebook gets more photo uploads per day than any other website, but those other sites are still out there. Instagram is extremely popular, PicasaWeb is still used, Twitter has its own photo editing and sharing service now, Google+ is practically made for photo sharing, and of course Flickr is still around. At one point, I was following a few dozen friends on Flickr, but now the most recent picture from any of them was posted nearly two years ago. Meanwhile, I now follow 26 people on Instagram and see dozens of new photos every week. Even so, Flickr is still a very popular photo service and they've been attempting to entice users back in recent months. They released updated apps with new features for Android and iOS, and they've capitalised on the Instagram terms of service backlash by giving three months of free Pro service to everyone. 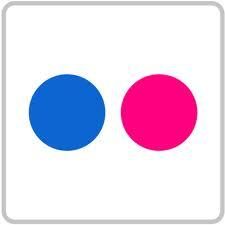 Between the new apps and free Pro offering, Flickr is starting to gain some traction again...or at least it might be. None of my friends have returned, though I've started posting a few photos there. To be honest, I think it's the Pro service option that is keeping Flickr down. In a world of free, unlimited photo uploading (like Facebook, Twitter, Google, Instagram, etc. have), charging $25 a year is likely a deal killer for most people. Why pay for one service when another is offering it for free? Flickr has a free option, of course, but the limitations are kind of insane...for example, you can upload as many pictures as you want, but with the free option, you can only view your most recent 200 pictures...the rest are hidden until you pay. I still think Flickr has one of the best services out there, even if it hasn't changed much in the past few years. Here's hoping they can woo back some users and bring some competition to the photo sharing space. I miss using it, frankly, and with the new apps, it's similar enough to Instagram that people might switch if there was incentive. The new apps are a great start...getting rid of the Pro option and making it free for all might just be all they need.